If you haven't clued on to the stellar new jewellery label, Sarah & Sebastian, I pity you, the fool. Sarah & Sebastian was founded in 2011 by partners in crime (and luuurrrvve), Sarah Gittoes and Robert Sebastian Grynofski. Known initially for their sublimely delicate stackable rings and sleek chokers, their latest collection Drei sees the introduction of more striking statement pieces like silver spiked cone rings and chunky chain necklaces and bracelets. I've been longing for more ever since stumbling across these guys late last year and the new collection definitely does not disappoint. The dynamic duo were kind enough to share with me some of their inspirations and aspirations. B&B: What inspired the SS12/13 collection, Drei? S&S: Drei is inspired by the book Utopia, by Thomas Moore. Jewellery has an interesting representation in this novel and it intrigued us. Also, the author developed a "utopian alphabet", which is based on geometric shapes and inspired some of our concepts. Drei is German for three. This references the triangular forms present in our collection and is also significant to our personal life. B&B: What different strengths do you each bring to the drawing board? S&S: Sarah is especially creative and guides the direction of our collections. Luckily, I have the technical mindset to translate her ideas into metal. We support and compliment each other's skills. B&B: Who or what are your biggest influences? S&S: We take inspiration from everything: from nature to architecture, literature and fashion. We try not to get caught up in trend-based jewellery. We love to experiment and create pieces for editorial, but want to keep the core of our collection timeless. B&B: What is your most treasured piece of jewellery? R: A necklace Sarah made me when we first met years back. It’s a simple sterling silver cube. S: My Nan’s gold wedding band. It's really tiny but I can wear it on my little finger. B&B: Who is one of your favourite jewellery designers or favourite piece of designer jewellery (eg. Cartier Love bracelet)? R: Hmm, good question – Frank Gehry has made some excellent jewellery. I think he is one of my favourite designers, the architectural influence is something I am drawn to. S: I love Alexander Calder. As with Gehry, Calder is not typically a jewellery designer but he has also made some incredible jewellery. B&B: Would you consider designing pieces for men? S&S: Yes, we've often talked about it but no plans just yet – it has to fit in with our Sarah & Sebastian aesthetic. We won’t release a men’s jewellery line unless it is very well considered. B&B: If you both weren't designing jewellery, what would you be doing? S&S: We would definitely work in the creative field. Sarah has a passion for lighting and furniture design and I am a product designer. Actually, if we wouldn’t design jewellery I am sure we would be designing as a team in some way. B&B: What aspirations do you have for Sarah & Sebastian for the future? 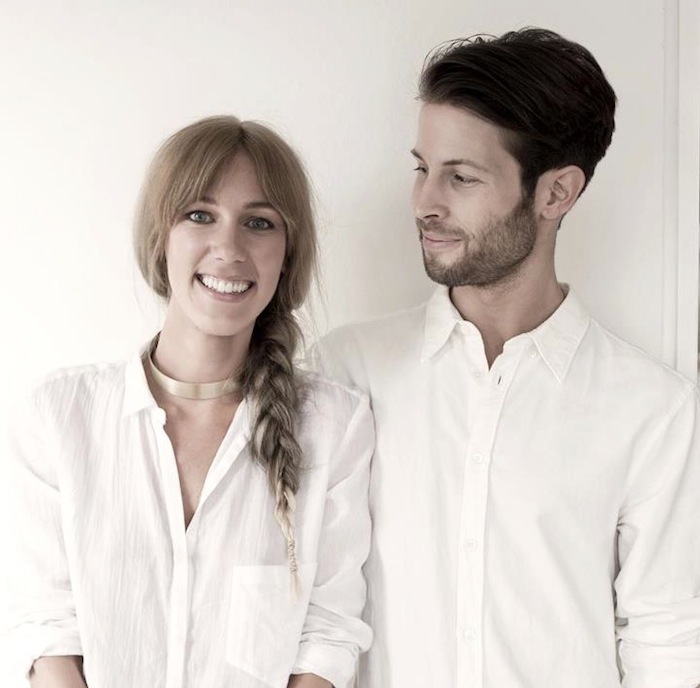 S&S: For Sarah & Sebastian be a staple Australian jewellery label. We’d love to be able to expand our business and have other jewellery designers on board, but maintain our handmade philosophy. 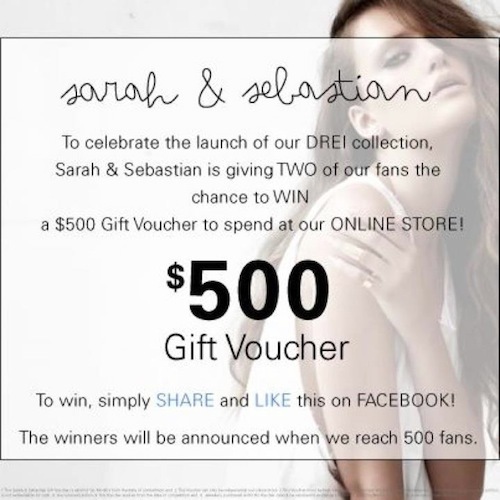 For more info on the polished pair or to purchase some wicked jewels, visit www.sarahandsebastian.com.au. Also be sure to follow them on Facebook for a chance to win one of two $500 gift vouchers. Wowza! Just checked out their collection and it is stunning! this is very good interview. it took me a while to read this, but still like it. ok. thank you so much for such lovely comment. would you like to follow each other? What a nice interview! They are so cute together! Thanks for the nice comment on my blog---wanna follow each other?